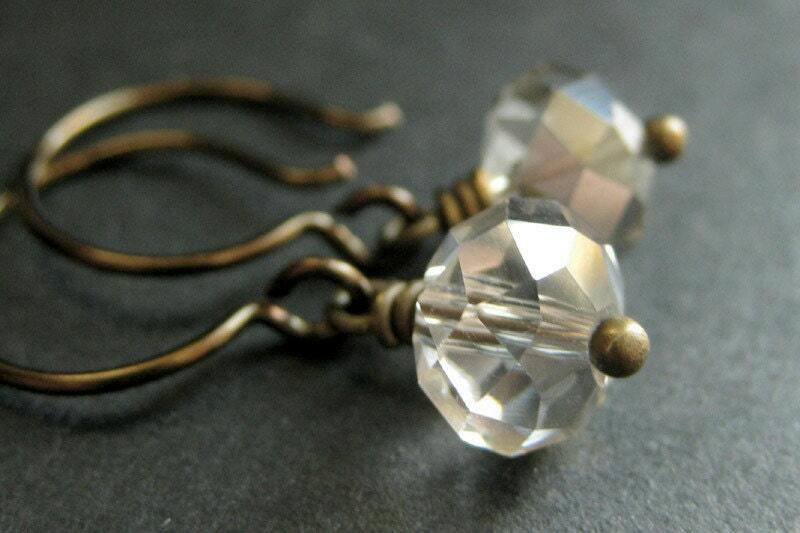 Pale Taupe Crystal Earrings. Taupe Earrings. Crystal Dangle Earrings. Bronze Earrings. Taupe Dangle Earrings. Handmade Jewelry. A pair of delicate crystal earrings created in a pale shade of taupe with little glass crystals combined with bronze wire and matching bronze earring hooks. Size: 25mm (1 inch) in total length (including the earring hook). These pretty crystal earrings are an exact color match to a necklace in my shop! Brown Crystal Earrings. Brown Earrings. Crystal Dangle Earrings in Dusky Brown. Bronze Earrings. Handmade Jewelry. Thank you!These are a perfect compliment to a necklace I just purchased. Cadet Blue Flower Earrings with Bronze Post Earrings. Flower Jewelry by StumblingOnSainthood. Handmade Jewelry. Bird Earrings. Chickadee Earrings. Brown Bird Earrings. Bronze Earrings. Brown Earrings. Bird Jewelry. Nature Jewelry. Handmade Earrings. Black Rose Earrings with Bronze Earring Studs. Flower Jewelry. Handmade Jewelry. Yellow Bird Earrings. Yellow Finch Earrings. Yellow Earrings. Bronze Earrings. Bird Jewelry. Nature Jewelry. Handmade Earrings.